SIBO (Small intestinal bacterial overgrowth) is still in the early stages of being researched as a possible cause of IBS or the cause of IBS-like symptoms. I had heard about SIBO because I was studying nutrition and because I had a particular interest in learning about everything to do with IBS. I was later tested and treated for SIBO and wow what a difference it made to my symptoms! When I was first trying to find information about SIBO, I found it difficult to find useful information online. Thankfully now that more and more people have been tested and treated for SIBO, and more health professionals are learning and being educated about SIBO, more resources are available. I’ll list a few of the ones I have found helpful below and if you have any that you have found useful, please share! I love podcasts and find that they are a great way to digest a lot of information in small bites for free when I am on the train, driving, walking or doing housework. The Healthy Gut podcast hosted by Rebecca Coomes interviews a different expert in each episode to help others learn about what SIBO is, why it occurs and how can it be treated and managed. Rebecca has also lived through SIBO and has come out the other side to share her experiences too. 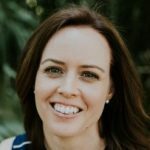 The SIBO Doctor Podcast hosted by Naturopathic Doctor Nirala Jacobi also interviews SIBO experts in each episode and is aimed at educating health professionals so that they can better help their patients. Depending on what diet forms part of your SIBO treatment, there are many different cookbooks, blogs and, recipes available. Including the low FODMAP diet, SIBO Bi-Phasic Diet, GAPS, Specific Carbohydrate Diet and others. The Healthy Gut has also published a number of free recipes, and you can purchase a number of meals plans, hard copy and digital cookbooks that can help you navigate your way through the SIBO Bi-Phasic Diet. There are also a few Apps that are helpful too, like the Monash University FODMAP Diet app and the SIBO Specific Food Guide app. The SIBO SOS Summit is free and online and allows you to listen and watch many different SIBO experts talk about their area of expertise. If you are unable to listen or watch during the period when the event is on, then you can purchase recordings. It is also helpful to see who the different experts are and you can look them up online and find out more information about how their knowledge can help you. Do comment below if you have found any other helpful online resources too!